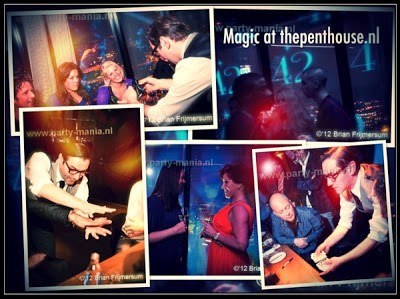 "Performing magic shows since the past 15 years for top places in the Netherlands and Europe, made many of my clients re-booking my act and the reason is that every show has a very high impact in terms of emotional involvement and quality, with the care that clients need to have for they're Event: a Class Act!!" 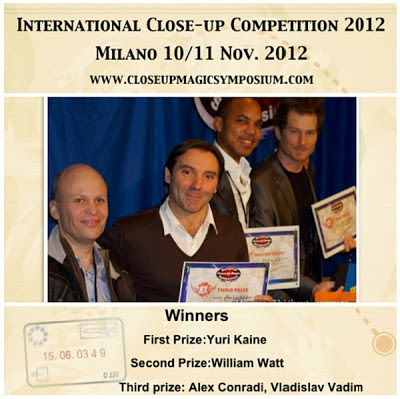 "Making performances a success on a personal level!" Alex Conradi performs on a personal level, not from a distant stage but right under his public’s eyes and into their hands. Magic brings people together, it breaks ice... and creates interest. Magic gets people talking, inquiring, communicating and... It sells ! Companies always need new idea to make the presentation of a product or a successful Party. A corporate magician is an ideal solution with endless possibilities. 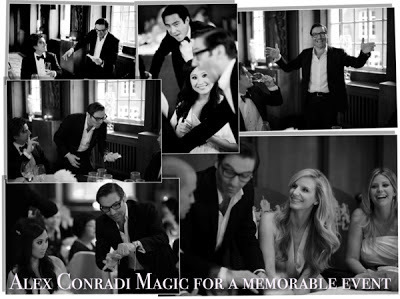 Alex Conradi is highly experienced at devising effects and presentations that not only attract new clients, but promote your products! I believe that any accomplishment (large or small) begins already with the same decision: I'll try. it will became an affair to remember..."